Why are we so interested in looking at our faces? Does it make it think about what we used to look like, and compare it to the current version of ourselves? It could be personal growth, but oftentimes it’s a good way to validate yourself by posting tons of face photos online for social media sites to your followers to give you a confidence boost. Nothing wrong with that, but some people do get to be a bit excessive about it. If you take the selfie game pretty seriously, then you’re likely in the market for a shutter remote control so you don’t have blurry photos. 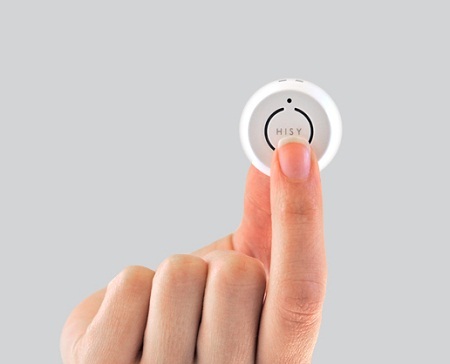 The HISY is one such item that will work with your iDevice without the use of an app. All it needs to do to connect is be paired via Bluetooth. This can go for almost two years (based on doing 100 shots a day!) without needing a battery replacement, so you won’t need to worry about having to charge one more device. This would be perfect for creative selfies or group shots as it has a range of 30-90 feet. It will cost you around $25, which isn’t too bad for such an item. There is even a headphone jack attachment so you can keep it handy at all times rather than stuffing it in your bag and missing a perfect photo opportunity. If you also like to record videos, this will be able to start and stop the recording process.